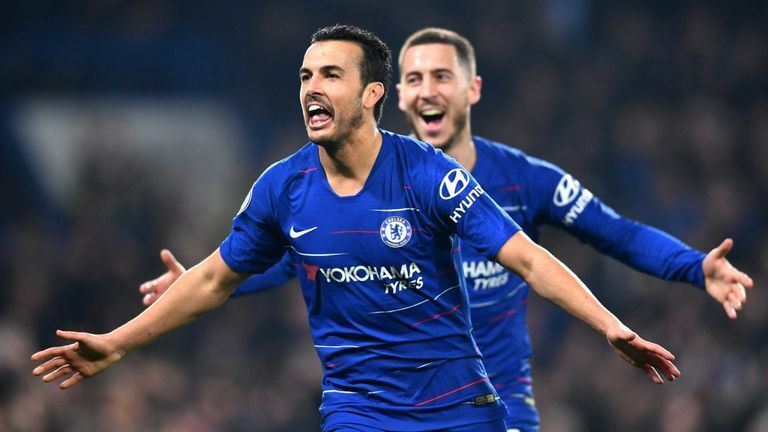 Pedro's strike and Kieran Trippier's embarrassing own goal gave Chelsea a 2-0 victory over rivals Tottenham in the Premier League on Wednesday at Stamford Bridge. The eagerly-anticipated team news saw Kepa Arrizabalaga dropped to the bench for Willy Caballero after the Spaniard's show of dissent in the Carabao Cup final defeat at Wembley on Sunday, while on the pitch both sides hit the woodwork in a goalless first half through Gonzalo Higuain and Harry Winks. Chelsea took the lead through Pedro, who cut in from the right and squeezed an effort through Hugo Lloris' legs from an angle (57), before Trippier's backpass caught the Spurs goalkeeper rushing out, only to see the ball roll into the net (85). Spurs failed to register a shot on target for the first time under Mauricio Pochettino in the Premier League, and the result further dents their slim title hopes, leaving them nine points off leaders Liverpool. Chelsea remain sixth, three points off fourth-place Arsenal, but with a game in hand. Before the game, Sarri described his decision to drop Kepa as a message for the group, and he received a big team performance for a vital win in the race for the top four. During an exhilarating start, Chelsea hit the post as Moussa Sissoko's failed clearance fell to Higuain, only for the forward to slice a half volley against the post from 12 yards. Higuain then curled wide from the edge of the box with Lloris rooted, before a flashpoint at the other end as Harry Kane unsportingly chased down a Spurs pass-back to David Luiz after a drop ball. Luiz and Caballero took umbrage with Kane's actions before an altercation, and though Kane was seen moving his head towards Chelsea's Cesar Azpilicueta, referee Andre Marriner did not punish him. 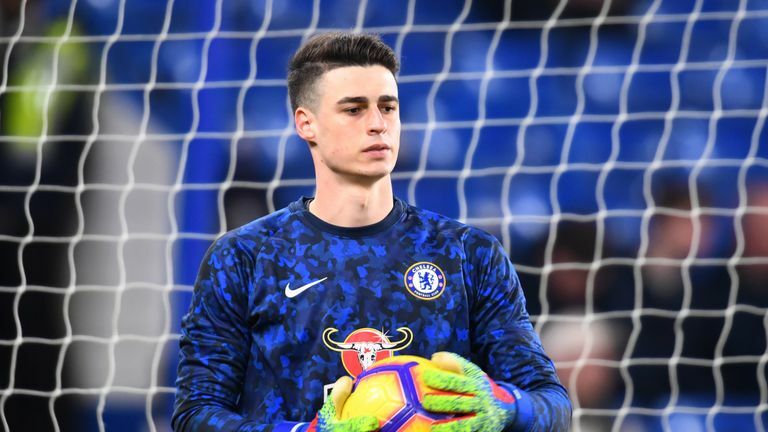 Kepa was dropped for Caballero after Sunday's incident at Wembley, while Alonso came back in for Emerson. Meanwhile, Willian and Barkley came out for Kovacic and Higuain. Spurs made four changes; Sanchez, Trippier, Davies and Lamela came in, replacing Aurier, Foyth, Rose and Vertonghen, who was out of the squad completely with a hip injury. 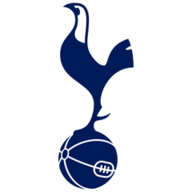 Spurs began to find their rhythm and were nearly ahead before the break, only for Winks' long-range effort to rebound off the bar after taking the slightest touch off a Chelsea foot. But Chelsea upped the pace after the break and got a deserved opener through man-of-the-match Pedro, beating Ben Davies and Toby Alderweireld on the right flank, cutting onto his left and finding the net through the legs of Lloris from 10 yards. Kane was then found by Davies in a fine position, eight yards out, but couldn't get his feet right, miscuing wide of goal as Spurs struggled to muster up any clear second-half chances. Their misery was compounded with six minutes remaining as Trippier put too much on a simple backpass for Lloris, catching the goalkeeper unaware as they watched the ball roll agonisingly into the net. Maurizio Sarri: [on dropping Kepa] "I think it was the right decision, Kepa made a big mistake, he paid with the club, and then he had to pay with the team. "But now I have to think we have to stop, Kepa from tomorrow will be with us. He is back in the team for the weekend, I don't know in the next match if he will be on the pitch or not, but one of the next two he will [start]." Mauricio Pochettino: "We didn't shoot, and we were not consistent enough. It was an even game, but we didn't create too much. I was disappointed because it was another defeat, but we have to be sure we are ready for Saturday, and another tough London derby." Tottenham have lost successive Premier League away games for the first time since November 2017 when they lost three in a row. Spurs have lost two league games in the space of five days for the first time since August 2007 (vs Sunderland on 11 August 2007 & vs Everton on 14 August 2007). Tottenham have scored two own goals in their last six Premier League games (Trippier vs Chelsea and Llorente vs Fulham); as many as their previous 113 in the competition. Tottenham have won just three of their 23 Premier League away games against 'big six' sides under Mauricio Pochettino (D7 L13). Tottenham have failed to land a shot on target in a Premier League game for the first time since December 2013 against Liverpool. A manager's dream, Pedro made an impact all over the pitch to give Chelsea a morale-boosting win. His goal aside, the Spaniard made several crucial tackles in his defensive third, and cut off any chance of Spurs rhythm in midfield. He ran more than any Chelsea player (12.28km) and made the second-most sprints of any player on the pitch (17). 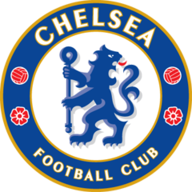 Chelsea now go to Fulham on Super Sunday, live on Sky Sports Premier League at 2.05pm, while Spurs host Arsenal at Wembley on Saturday at 12.30pm.